Stretching the One Income Dollar: Dress Up Your Halloween Costume With Swaponz Phone Cases Plus a Reader Discount! 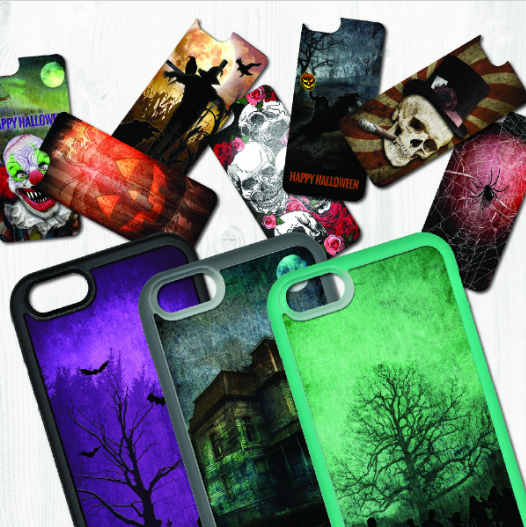 Dress Up Your Halloween Costume With Swaponz Phone Cases Plus a Reader Discount! What’s the number one item all parents and teenagers will have with them this Halloween? Their cell phone! Having your smartphone on hand is great for emergency situations, but also for all of the cute and creepy costume pictures you’ll be taking. Instead of a phone case ruining your Halloween costume, dress it up with a spooky Halloween design from Swaponz, the swappable phone case company that sells protective phone cases with swappable designs that echo an individual’s style, affinity, passion, and mood - including a spooky Halloween collection! Getting started with Swaponz is easy, and a starter kit only costs an affordable $25. Simply select a protective phone case model (which come in a variety of colors), and two scratch & fade resistant swappable designs, which can be selected from the brand’s 700+ online inventory, or customized by your own pool of endless photos or other images. From there, swapping out a new design will only cost $7.50! And - the best part about the Swaponz phone case, is that after Halloween is done, all you need to do is swap out the design for a new one, so it will never get old. If you’re worried whether or not the case will fade or get dirty - don’t be. The designs are a non-permanent, non-adhesive layer that allow you to easily clean up any spills or dirt that may get on the back of your phone. They are also not sticky, so there is no residue - and will hold together like magic. Receive 25% off your Swaponz starter kit by using the code: SZBA25-744kp279 at checkout!